The 11th annual Hand's on Workshop in Micro and Nano Bioengineering will be held from Wednesday, May 8th to Friday, May 10th at McGill Univeristy in Montréal, Québec. Participants will learn the foundations of micro and nano biotechnologies and gain first hand experience with Computer Aided Design (CAD), 3D printing, soft lithography, microfluidics, immunoassays and more. This year we will be also adding to the workshop segements in 3D bioprinting and tissue engineering. Last year we had 30 attendees from industry and academia partaking in the workshop and we look forward to having you join us this year! The course is open to students, scientists, engineers, and industry professionals in any area of research who would like to learn more about micro and nanoscience technology in general. The course is of particular interest to biomedical researchers, chemists, physicists, as well as biomedical, mechanical, chemical, and materials engineers. The workshop lecture series will begin with an introduction and overview of micro and nano biotechnology and applications. This will be followed by more in depth lectures on 1) Microfluidics and applications in biomedical technologies, 2) Additive Manufacturing and Rapid Prototyping, and 3) 3D Bioprinting in tissue engineering. The purpose of these lectures is to give participants an overview of the current trends and applications of micro and nano biotechnologies in a number of fields. Participants will first learn the basics of Computer Aided Design (CAD) software (AutoCAD). Design rules and limitations will be discussed for high resolution 3D printing. In the interactive portion of the session, participants will design and make adjustments to a CAD model for a 3D printed microfluidic device with bioengineering applications. Computers are provided; however, participants are encouraged to bring their own laptops. Bioprinting is a rapidly growing technique in the broader tissue engineering field. CELLINK helped revolutionize the bioprinting field through the introduction of the BIO X system and standardized bioinks. In this workshop, CELLINK will discuss various bioprinting techniques and standardized bioinks and applications for the 3D bioprinting field, Participants will get hands on experience with the BIO X system and various printheads. In this session, students will learn the workings of a SLA-based DLP 3D-printer and understand the fundementals behind the technology. They will learn the how CAD designs are translated into 3D-printing going through the process of designing, prepping the printer, printing the piece, and post-processing of the printed piece. In this session, presentations will be given by participants who will show how Nano/Microtechnology can be applied to their research area. This session is a highlight of the course as it helps participants to relate what they just learned to their work, and at the same time providing a snapshot of the breadth of micro and nanotechnologies. There will also be an opportunity to participate in a process design challenge and compete for the best presentation award this year! To conclude the day, past year participants will be invited back to talk about their current research using the tools and techniques they learned through this workshop. The workshop ends with a keynote lecture from a distinguished speaker and a fun wine and cheese (and beer) social -- don't miss it! The microfluidics field is at a critical crossroads. The vast majority of microfluidic devices are presently manufactured using micromolding processes that work very well for a reduced set of biocompatible materials, but the time, cost, and design constraints of micromolding hinder the commercialization of many devices. 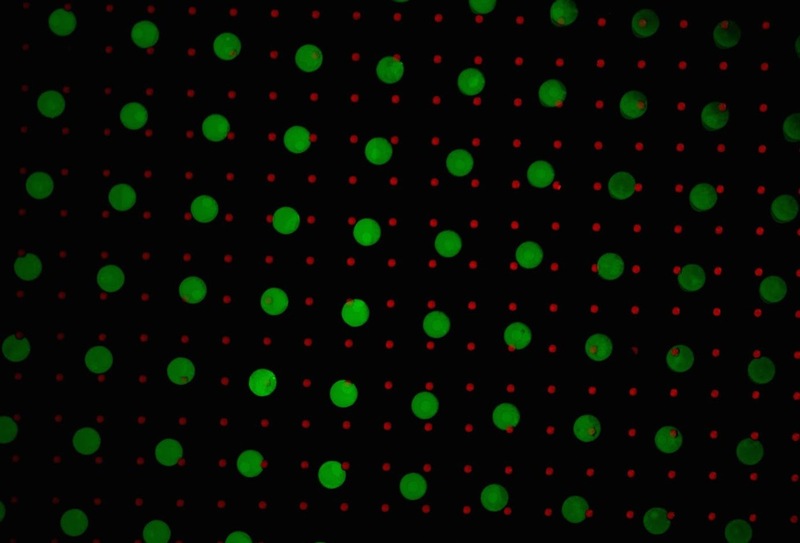 As a result, the dissemination of microfluidic technology – and its impact on society – is in jeopardy. Digital Manufacturing (DM) is a family of computer-centered processes that integrate digital 3D designs, automated (additive or subtractive) fabrication, and device testing in order to increase fabrication efficiency. Importantly, DM enables the inexpensive realization of 3D designs that are impossible or very difficult to mold. The adoption of DM by microfluidic engineers has been slow, likely due to concerns over the resolution of the printers and the biocompatibility of the resins. We have developed microfluidic devices by SL in PEG-DA-based resins with automation and biocompatibility ratings similar to those made with PDMS. I will also present our work on our microfluidics platform for cancer diagnostics and I will review the bright future ahead for the promising, fertile field of DM. "Microfluidics for Personal Mobile Diagnostics"
"Towards Person-on-a-Plate: Microfabrication and Biodegradable Polymers for High Fidelity Modelling of Human Tissues"
The workshop is located at McGill University in the heart of downtown Montréal, Québec. Registration, Module 1 Lectures, and the Design Challenge of the workshop will be held in the Strathcona Anatomy and Dentistry building, Room 2/45 (3640 Rue University). Module 2 (CAD Design Studio) will be held in the McDonald Engineering Building (3480 Rue University), Room 50. 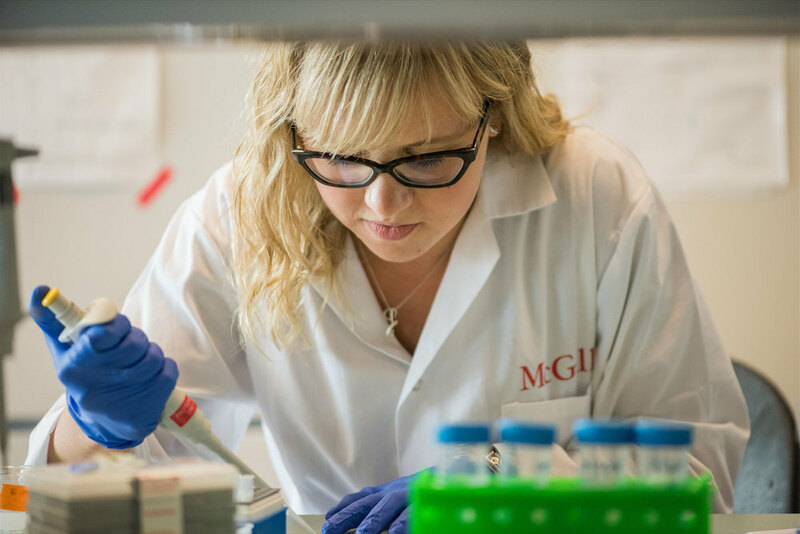 Module 3 (Lab Session) will be held in the Genome Québec and McGill Innovation Centre (740 Dr. Penfield Ave), Room 6500. The keynote lecture will be held in the Strathcona Anatomy and Dentistry building, Room M1 (3640 rue University). The wine and cheese following the keynote will be held on the 5th floor of the Genome Centre (740 Docteur-Penfield Ave). Coming from out of town? 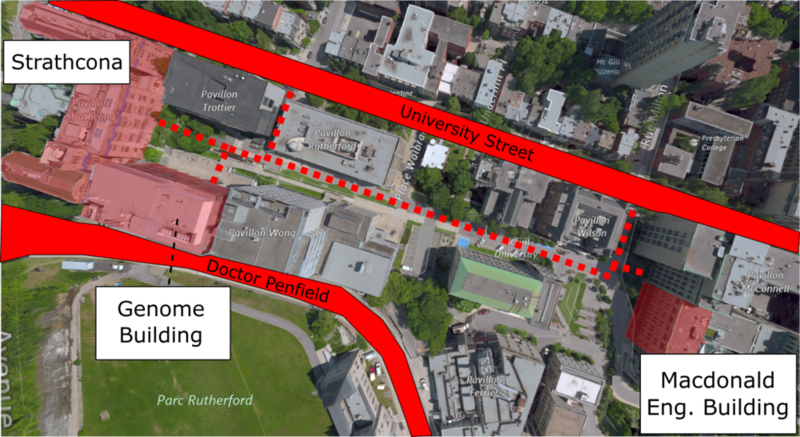 There are plenty of hotels within walking distance to McGill campus. Montréal bus routes 24, 144, and 80 will also take you near campus if staying further away. If you have any questions about transportation or accommodations, just send us an email at junckerlab.workshop@gmail.com. The Hands-on Workshop in Micro & Nano Bioengineering is made possible through the generous support of our sponsors. To find out more about becoming a sponsor, please email us at junckerlab.workshop@gmail.com.